If This Then That has become pretty popular, working with countless devices and websites. You can program it to do many things, recipes as the company calls them. There are channels where you can find what you're looking for if you'd prefer something already pre-written by another user. 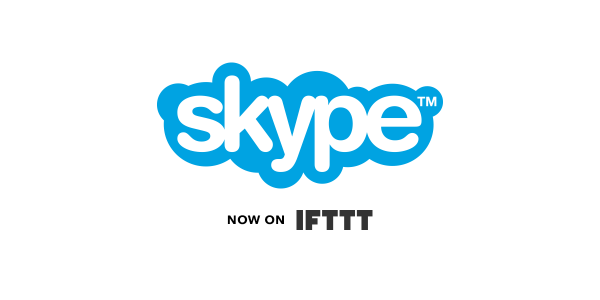 Now IFTTT is coming to Skype, the communications service purchased by Microsoft and one of the leaders in today's connected world. IFTTT lays out a few pretty simple instructions to take advantage of this. First, you'll need to connect your Skype account to the service. Then you can add the IFTTT Bot to your contacts and begin adding recipes. "When your Recipe runs, the IFTTT Bot will automatically join your conversations to share the relevant information. Don’t worry -- it won’t pipe up unless you’ve instructed it to, by adding a Recipe". "There are already lots of Skype Recipes available to try" the company promises. So, now you have a running start with pre-written scripts to get moving. It's up to the users to take advantage of those and create new ones. We'll see what happens.